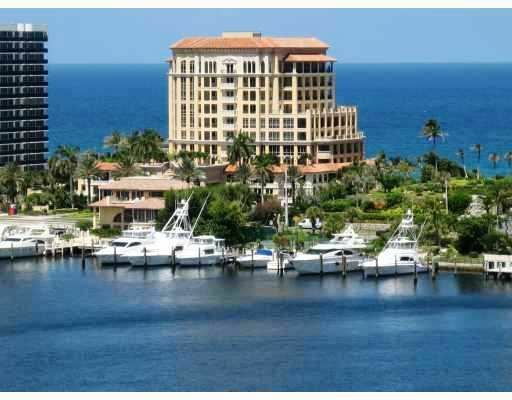 Boca Raton is home to South Florida's most desirable luxury waterfront communities. All the opulence and sophistication of its wide range of architectural splendor sets Boca Raton apart from any other high-end real estate location. From Boca Raton’s two- and three-story buildings in gated communities on golf courses, to oceanfront high-rises with private beaches, buyers have some of the most exclusive real estate in the world to choose from. The city boasts over five miles of pristine coastline, offering its residents breathtaking views of the Atlantic Ocean and the amenities fitting of the best 5-star resort destinations. Boca Raton condos are close to downtown shops, acclaimed Mizner Park, trendy cafés, popular bars, clubs, and the sunny Palm Beaches. Headed by renowned architect Addison Mizner, who set out in the 1920’s to transform Boca Raton into a dream city, investors and residents have seen this dream come to reality. Boca Raton has become the benchmark for luxury living and a beacon for the rich and famous to call home. Boca Raton is a city of beautiful landscaping, parks and beaches. Constant maintenance and improvement of the streets, natural areas and its beaches has made Boca Raton a shining example of excellence. The cities magnificence is elevated through nature preservation and outdoor recreation which are found in Red Reef Park - a 67-acre oceanfront park which includes the 20+ acre Gumbo Limbo Environmental Education Center, South Beach Park along and fishing pier, South Inlet Park, and Spanish River Park. Boca Raton has some of the finest luxury condos and townhomes with high end upgrades and amenities in prime locations. These condos offer a great opportunity for the Boca Raton real estate buyer who is searching for the absolute best. Many of these condo homes are close to shopping and nearby attractions, and give buyers an opportunity to acquire newer Boca Raton properties both for sale and for rent. Grand luxury condo complexes in Boca Raton include, One Thousand Ocean, Luxuria on the Ocean, Aragon, Excelsior, and Mizner Grand, just to name a few. To the north you will find the gorgeous Oceanfront Homes in Highland Beach including the dramatic and palatial Ocean Place Estates. Boca Raton is a paradise for both visitors and residents, with 23 hotels, three public golf courses, 11 private golf clubs, and dozens of restaurants to please every palate. It is also a shopper’s Mecca, from the unique boutiques at Mizner Park to the designer shops at Boca Town Center. In 1926, the Mizner-designed 100-room, Spanish-style Cloister Inn opened its doors. Known today as the Boca Raton Resort & Club, the development's distinctive Mediterranean Revival style set the standard for much of Boca’s architecture. Boca Raton boasts more than 20 cultural organizations, including the Boca Raton Museum of Art, Boca Raton Children’s Museum, Children’s Science Exploratorium, the University Gallery at Florida Atlantic University and the Boca Raton Historical Society Museum. Summer concerts are very popular at the new de Hoernle Amphitheater at the Centre for Arts in Mizner Park, and patrons of the arts enjoy performances at the Caldwell Theatre Company, the Boca Ballet Theatre, and the Harid Conservatory. Boca Raton introduces you to an atmosphere of natural leisure via its stunning beaches and beachfront parks then it sweeps you away with its elaborate shopping venues and exciting restaurants and nightlife. Boca Raton is the largest city between Pompano Beach and West Palm Beach. The city is truly a place of good life, good times, and good family entertainment. Boca Raton offers you numerous outdoor activities such as fishing and boating along the Atlantic, picnicking in Red Reef Park and family fun in Sugar Sands Park. Boca Raton condos give you all that you could possibly desire in terms of comfort, quality in design and amenities only a resort destination could compete with. For the epitome of luxury and high-class living, make Boca Raton your new destination location to call home!